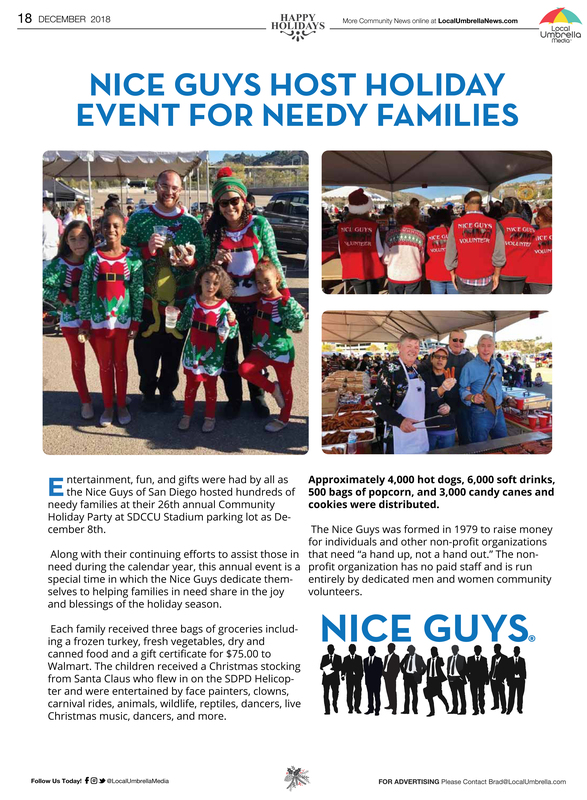 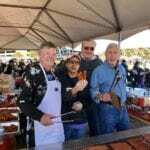 Entertainment, fun, and gifts were had by all as the Nice Guys of San Diego hosted hundreds of needy families at their 26th annual Community Holiday Party at SDCCU Stadium parking lot as December 8th. 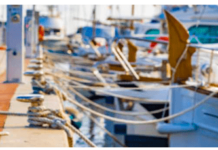 Along with their continuing efforts to assist those in need during the calendar year, this annual event is a special time in which the Nice Guys dedicate themselves to helping families in need share in the joy and blessings of the holiday season. 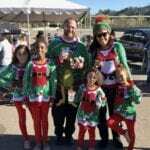 Each family received three bags of groceries including a frozen turkey, fresh vegetables, dry and canned food and a gift certificate for $75.00 to Walmart. 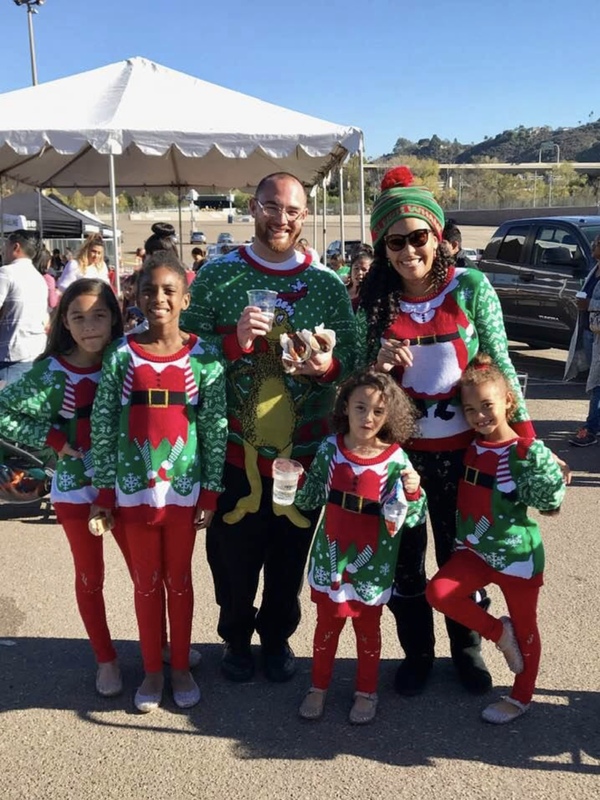 The children received a Christmas stocking from Santa Claus who flew in on the SDPD Helicopter and were entertained by face painters, clowns, carnival rides, animals, wildlife, reptiles, dancers, live Christmas music, dancers, and more. 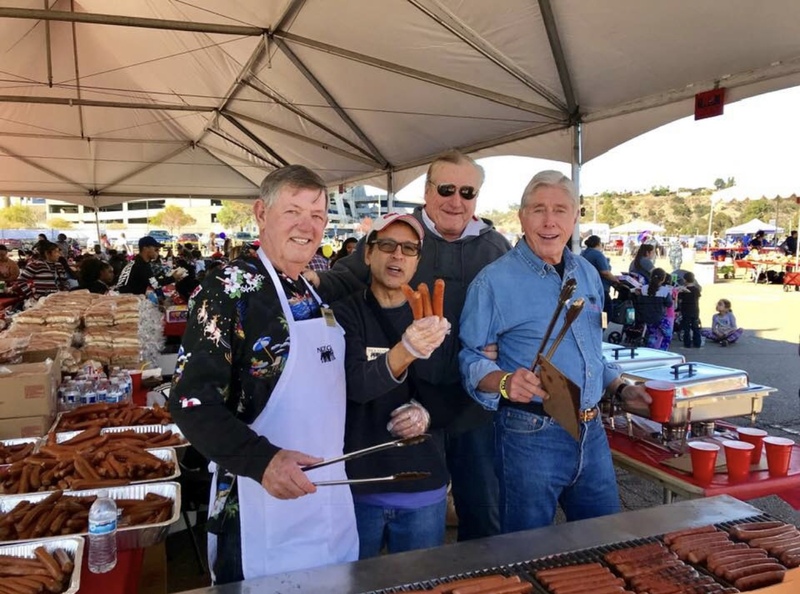 Approximately 4,000 hot dogs, 6,000 soft drinks, 500 bags of popcorn, and 3,000 candy canes and cookies were distributed. 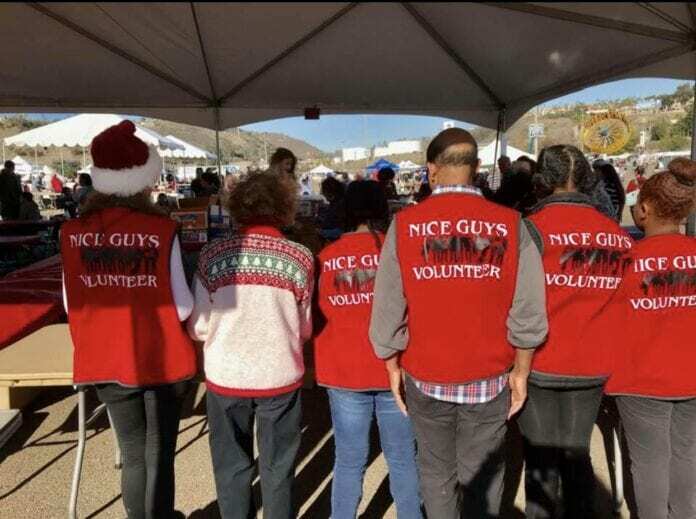 The Nice Guys was formed in 1979 to raise money for individuals and other non-profit organizations that need “a hand up, not a hand out.” The non-profit organization has no paid staff and is run entirely by dedicated men and women community volunteers.